Twitter is a social network based on a simple web/phone sms/messenger text box asking simply ‘what are you doing?’ It is unique in terms of social networks as there are applications that allow ‘Tweets’ – that’s Twitter for ‘Posts’ to be visualised geographically. As such it is no longer a social network existing in the ether such as MySpace, instead it is a unique realtime, global insight into what people are doing right now. 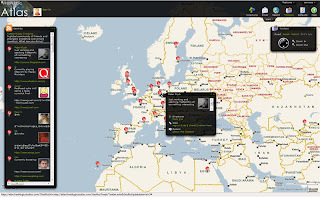 Fresh Logics approach is to use GeoRSS and Atlas to load Twitter feeds every 5 seconds as an overlay to the mapping interface. This takes a step forward, compared to say TwitterVision, as it also provides a sidebar listing the latest Tweets. 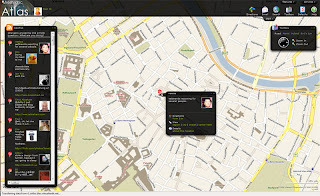 We will have more on Atlas in future posts, of note is their similar application using Flickr. Take a look at the Twitter Visualisation using Atlas (warning you could spend hours just watching it). More about Fresh Logic Studios. Join our Twitter network for Tweets from DigitalUrban and fellow readers..